Scottsdale eventually came to be known as “the West’s Most Western Town,” but for its founder, Chaplain Winfield Scott, “the West” need not be wild. In the untamed wilderness to the southeast of Camelback Mountain, he saw the potential for a vibrant and sustainable community. As a gifted cultivator of the agrarian landscape and its natural resources, Chaplain Scott was equally as determined to nurture and cultivate the hearts and minds of the peoples who would become a vital part of his homestead, including the young people who were raised on the land. Scottsdale needed a school. Cultured trailblazers on the frontier, like Chaplain Scott, his wife Helen—who happened to be a school teacher—and some of their distinguished neighbors, believed that education was a marker of civilization and schools were the best conduit to ensure the settlement would develop and attract educated, engaged residents. If their beloved homestead, originally called Orangedale for the citrus trees that thrived there, was to grow from an outpost into a flourishing community, it needed an educational center to bring a sense of civilization and civic duty to its residents. Over time, their journey to establish suitable schooling for youngsters paralleled Scottsdale’s development as a viable market town: as Scottsdale grew and prospered, it needed larger and larger schools. American settlers commonly raised temporary schools until they could construct permanent schools. 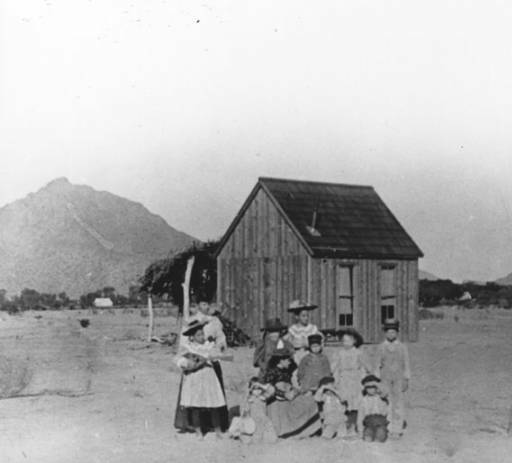 In 1896, Scottsdale’s first makeshift school formed at Mrs. George Blount’s Ranch, where she taught eight children not far from the Scott homestead. As the settlement grew, this school was insufficient. Later that year, Scott formed a school committee that organized an official Scottsdale school district, named in honor of Chaplain Scott. Shortly after, area residents came together in one of their first acts of civic unity and built a school—a small, one-room wooden building to accommodate the rising number of pupils in the district. In 1909, locals expressed faith and pride in their community once again and voted unanimously for a larger, more enduring brick school: the little red school house. For residents in early Scottsdale and in other settlements-turned-towns across America, the little red school house was a local symbol of its permanent status and its promising future. For Arizona, the push for school s also had significant consequences for state and national politics. As one gauge for the area’s potential as a civic body, the presence of numerous public schools in the Arizona Territory played a role in its attainment of statehood in 1912. Chaplain Winfield Scott never lived to see that day, but without doubt, he would have been proud to see his cultivating mission played a small part in bearing such fruit. Civil War Veteran: This daguerreotype of Winfield Scott was taken just before he went off to serve in the Civil War in 1862. 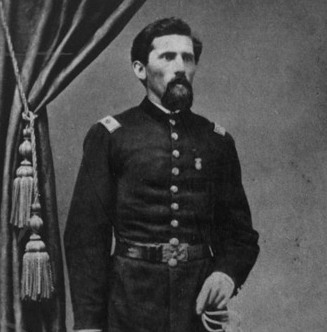 Scott was plagued for the rest of his life by severe wounds that he sustained at the Battle of the Spotsylvania Court House in 1864. ~ Source: Image courtesy of Scottsdale Historical Society. 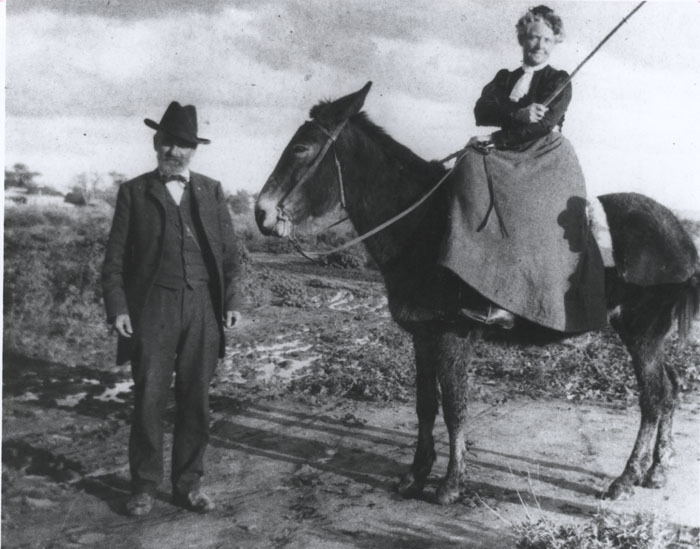 Scottsdale's Founding Family : This image of Winfield Scott, his wife, Helen, and their mule, Old Maud, was the inspiration for the Winfield Scott Memorial statues by local Scottsdale artist, George-Ann Togoni. Recapturing the pioneering spirit of Scottsdale's founding family, the larger-than-life bronze memorial may be seen near the Scottsdale Historical Museum in the Scottsdale Civic Center Mall. ~ Source: Image courtesy of the Scottsdale Public Library. Scottsdale's First School: Built in 1896, the wooden building depicted here was the first schoolhouse in Scottsdale. Grades one to eight were all taught in this 16 by 18 feet structure, until a 12 foot addition was added a few years later. Eventually, the structure was removed to make way for a permanent red brickschool building. ~ Source: Image courtesy of the Scottsdale Public Library. 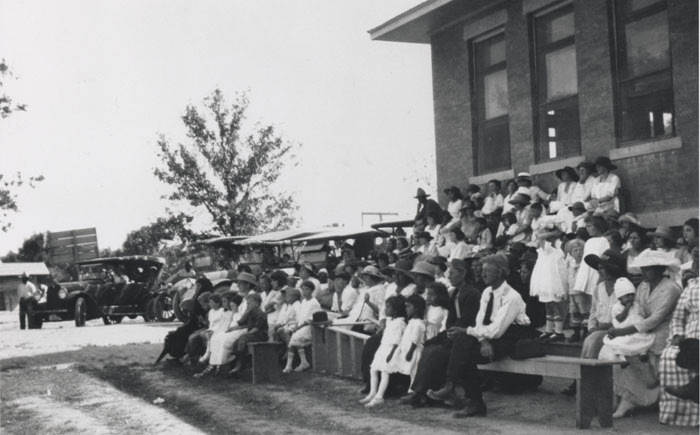 School as Community Hub: After its opening in 1910, Scottsdale residents often gathered inside or in front of the schoolhouse for public events, like the one shown here in the 1920s. As a multipurpose community hub, the red brick school also housed civic and faith-based organizations prior to the establishment of their own permanent structures, such as the Scottsdale Baptist Church. ~ Source: Image courtesy of Scottsdale Historical Society. The Scott Homestead: The Scotts grew many different crops at their adobe homestead, including oranges, alfalfa, peanuts, and sweet potatoes. Irrigation was the key to agricultural success and survival. 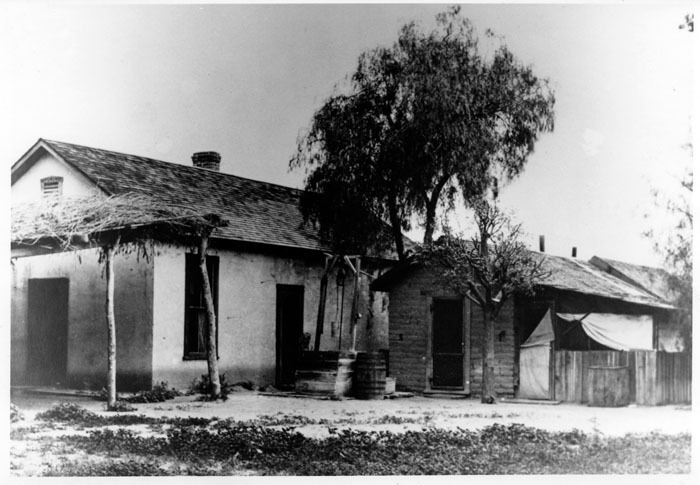 Note the water well at the center of these homestead buildings, which stood at what is now the northeast corner of Indian School Road and Scottsdale Road. ~ Source: Image courtesy of the Scottsdale Historical Society. Jim Newcomer describes the story behind the Winfield Scott Memorial by George-Ann Tognoni. Written by Megan Keough; narrated by Jim Newcomer. Recorded at Scottsdale Channel 11; courtesy of the Papago Salado Association. 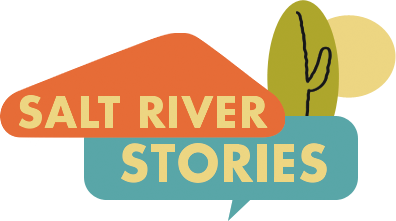 Stephanie McBride-Schreiner and Meghan Keough, “Winfield Scott and Scottsdale's First School ,” Salt River Stories, accessed April 20, 2019, https://saltriverstories.org/items/show/16.